Is Detroit going to be first part of the US to enter full recovery?. Is Detroit going to be first part of the US to enter full recovery? More strong endorsements for the Detroit area. Don't count out Detroit, agents are advising investors, as new figures show the city's property market is slowly racing its way to recovery. The US housing market won't start turning the corner for another year, claimed one report last week, predicting that while American property was “finding its footing”, prices would drop another 1 per cent between March 2012 and March 2013. But two new reports out this week tell a different story: Fiserv claims recovery is not yet a firm reality, but US property prices keep on climbing, according to the National Association of Realtors. Indeed, single family homes in America saw prices rise by 7.2 per cent in the second quarter of 2012, their biggest annual increase since the beginning of 2006. 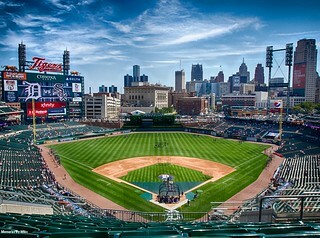 Now widely agreed to be recovering the quickest, Detroit continues to attract attention from overseas property investors. This progress means that the early bird investors are seeing fantastic returns but there's certainly still room for those who have been sitting on the fence about it to take the plunge and benefit from investing in Detroit. If you are looking to take advantage of healthy areas to invest and are interested to find out more on our secure and vetted process for obtaining fully managed, already tenanted properties then click here to get to our Detroit property page. Davenport Property InvestmentUncategorizedIs Detroit going to be first part of the US to enter full recovery?